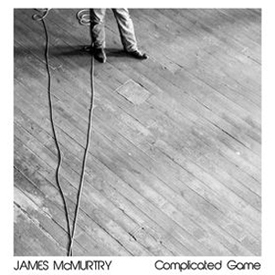 James McMurtry appears to have been around the Americana scene since before the term was coined; and in that time his name has confidently been mentioned alongside greats like Van Zandt, Guy Clark, Willie Nelson et al and I whole heartedly agree after hearing this album. Obviously McMurtry is first and foremost a songwriter but he also has a genuinely amazing voice that sounds like his larynx has been rubbed raw with a chamois leather then soaked for a week in a cup of bourbon, honey and gasoline. Slightly world-weary at times he inhabits his first person stories like a great actor; making everything you hear believable; especially the heartbreakers. Starting with Copper Canteen McMurtry begins a series of 12 Blue Collar cinematic vignettes that a good film Director could easily turn into twelve 60 minute TV dramas. The themes of veterans face when returning home to face hard times and fractured relationships in working class towns have all been done before; but rarely, if ever as perfectly constructed, delivered and with as much class as on COMPLICATED GAME. If my imaginary TV Series were to become reality; someone like Ben Affleck would be ‘the drifter’ coming back from War (South Dakota) to find little work for a man with his skill-sets and his ‘girl’ may or may not have moved on emotionally (She Loves Me and/or You Got to Me) and he then has to move on looking for work (the epic Carlisle’s Haul and the toe-tapping Forgotten Coast) never finding true happiness, until he gets to Long Island Sound (or does he?). The production is nigh perfect; keeping everything deceptively simple and letting the words rise to the fore as they derive. Obviously this is just the product of my own imagination; but the images McMurtry conjures up are so vivid it would be a criminal shame if they weren’t expanded on in some way; but then again your imagination will be different to mine and you may be happy sitting back and creating your own films in your head….because; trust me you will. COMPLICATED GAME is one of the few albums I’ve heard in years that just can’t be listened to as ‘background music’ this is a record that simply must be listened too; devoured eve, over and over again. I listen to an awful lot of music and this album is very much the pearl you dream of finding in a plate of grubby oyster.